Most congregational leaders would rather do anything than ask God’s people for money. On the avoidance scale, it ranks up there with cleaning out the cat’s litter box or dealing with that food-storage freezer that stopped working last month (but nobody noticed until just today!). Is it only me, or is there a double-standard when it comes to seeking donations for the church? People never seem to grouse about the direct-mail dumps or phone calls from Habitat for Humanity, the American Cancer Society, the Red Cross or the Wounded Warrior Project. And they still listen to public radio despite those annoying pledge drives. Maybe the problem lies in how churches tend to ask for money: Sheepishly, reluctantly, apologetically – begging, really. And then, only when it’s a really dire problem, so that we can really push the “guilt” and “shame” buttons. No wonder folks are offended. Don’t apologize. People know the church needs money to fund its ministries, and they know that as members they are responsible for keeping it in the black. So don’t apologize for asking for money. A hat-in-hand attitude can actually discourage giving by implying that your church isn’t deserving of support. Be smart. Make a case. Habitat for Humanity doesn’t just ask for money; they tell you about their mission and explain exactly why you should give, how your money will be spent, and how your support will make a difference. Lots of churches ask for money to “make budget” or fill a deficit hole. Yawn! People would rather give it where they know it will be used well. Be creative. You’ve been mailing the same stewardship letter for the last 22 years? Then you know about the law of diminishing returns. Find new ways to ask. Use technology. Employ humor. Tell stories. Take pictures. Post videos. Print flyers. Make posters and banners. Write articles for the newsletter. Talk one-on-one. Avoid threats. I’ve heard stewardship appeals that imply the church will close in three years unless people cough up the dough. It’s like a ransom note. Even if the threat is real, it’s totally not motivating. It’s like asking for money just to keep a rickety old car on the road. Would you want to invest good money to keep a jalopy from going to the junkyard? (Me either!) Frame your requests without veiled threats. Be positive. While asking for money, celebrate your church’s ministry and what you’re doing, even if it’s just being a good family church. Emphasize how your church, small and challenged though it may be, is nevertheless achieving wonderful things for its members and beyond. Ask regularly. 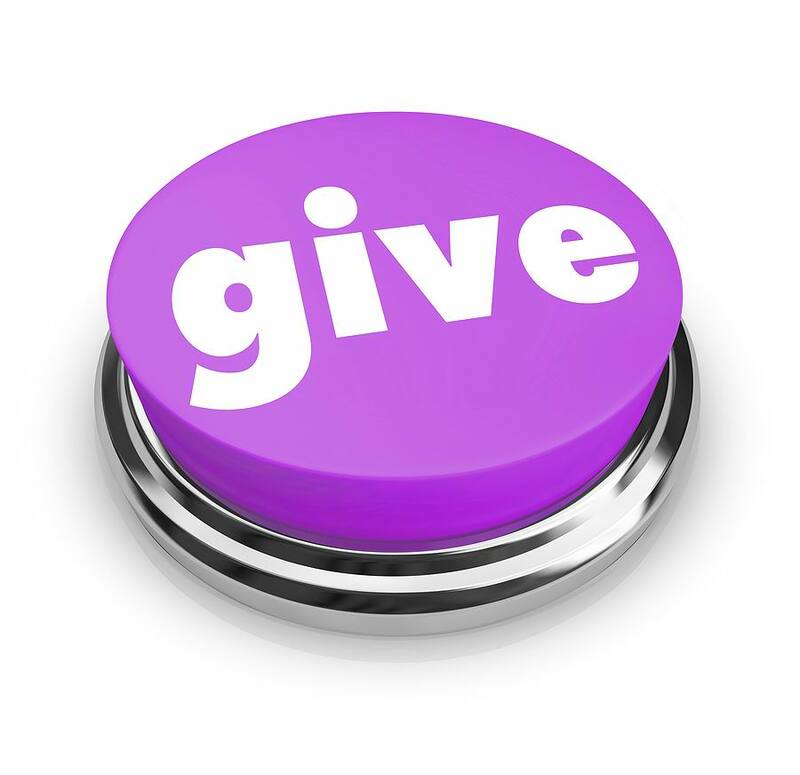 Some churches ask for money only when it’s absolutely, positively – desperately! – needed. A last-resort, a “Hail Mary” pass. Big mistake. Asking only when the devil (and the bank) is at the door trains people to keep their wallets in their pockets until and unless things are really dire, because then and only then the church will beg them for more. Get people accustomed to being asked regularly for money – intelligently, creatively, positively, wisely, etc. If the stewardship train stops regularly at the church station, they’ll get on board when they are ready. Asking is hard. But the important thing is that no matter how you ask, you do begin asking … and that you make it a part of your ministry. Regular, intelligent, creative, non-threatening requests will help break down resistance and develop a culture of healthy generosity. Copyright (c) 2019, the Rev. Robert Blezard. Reprint rights given freely to churches and nonprofit organizations for local use. Please reprint the copyright notice and let me know! rcblezard@yahoo.com.